If a picture tells a thousand words then 3D visualisation tells your customers what your product is about. 3D visualisation can help you connect with potential customers by showing them your product or service in your chosen context, with the need for expensive or sometimes impossible photography. We work with a skilled and experienced team of 3D visualisation artists available to provide you with visualisations of your products, services, abstract ideas and your vision. Computer generated graphics or video are ideal for use on your website, in presentations and on social media channels. 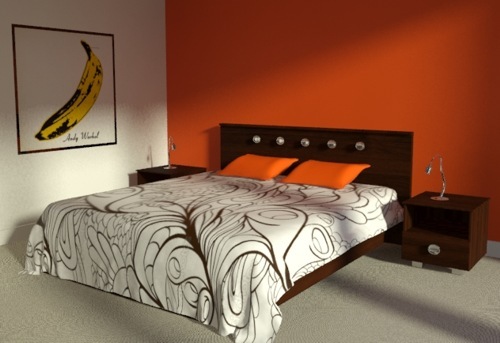 Our 3D visualisations include walkthroughs, rendering, architectural visuals, interiors, product visualisation, computer graphics, 3D animation, concept art, book covers etc. 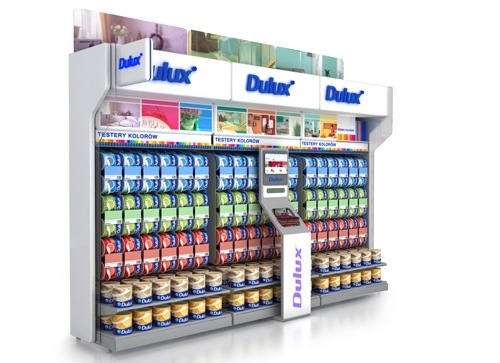 The picture below shows a visualisation of display shelving for Dulux paints. Creating shelving or any other type of furniture or interior designs in 3D, allows designers to save a huge amount of time on the production development process. Clients include property developers, architects, interior designers, marketeers, product designers, marketing agencies as well as 3D visualisation agencies. There are also scientific and educational applications. Find out more about 3D Visualisation at Wikipedia. The video below shows an animated visualisation of a new housing estate completed in 2011.